A heat stress forecast is as important to a cattle producer, as the rain forecast is to a crop producer. Checking a heat index, and adapting handling to the forecast, will help mitigate risk when working cattle during summer months. 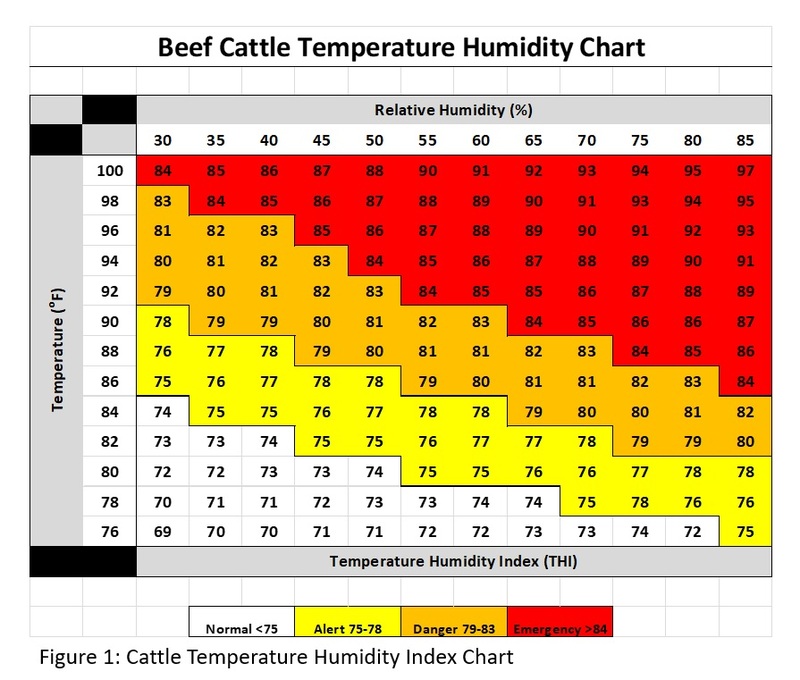 Rob Eirich, Nebraska Beef Quality Assurance (BQA) coordinator, and Mariah Woolsoncroft, Nebraska Extension beef educator say it's the connection between heat and humidity that's especially important in knowing when to reduce stress on cattle this time of the year. They encourage the use of both a heat index, and an assessment of individual animals' body temperatures using a panting score, to guide management. *Always handle cattle early in the mornings, before 8 a.m. Don't move or handle cattle after 10 a.m. during the summer months. *Don't handle cattle in the evening, even though environmental temperatures are down. This is because the animal's core temperature peaks two hours after the environmental temperature peaks, and takes 4 to 6 hours to go back to normal. *Work cattle in smaller groups so animals are not standing in a holding area for more than 30 minutes. *Facilites should be shaded and good air-flow provided. *A sprinkler system may be used to help cool animals. *Work cattle slowly, using low stress handling techniques. *Try to have cattle move shorter distances during the heat. This may mean moving animals closer to loading facilities during the feeding period. *Be aware that sick or stressed animals are at more danger for heat stress and need additional shade and cooling.